I'm lucky, being an outspoken atheist, that I live where I do. The people in my area of upstate New York are generally pretty accepting of folks who are outside of the mainstream (although even we've got significant room for improvement). 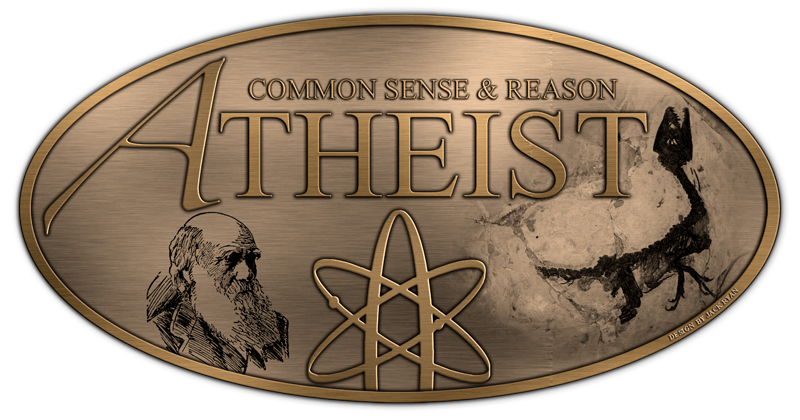 The amount of harassment I've gotten over my lack of religion has, really, been pretty minimal, and mostly centered around my teaching of evolution in school and not my unbelief per se. It's not like that everywhere. In a lot of parts of the United States, religiosity in general, and Christianity in particular, are so ubiquitous that it's taken for granted. In my home town of Lafayette, Louisiana, the question never was "do you go to church? ", it was "what church go you go to?" The couple of times I answered that with "I don't," I was met with a combination of bafflement and an immediate distancing, a cooling of the emotional temperature, a sense of "Oh -- you're not one of us." So no wonder that so many atheists are "still in the closet." The reactions by friends, family, and community are simply not worth it, even though the other alternative is having a deeply important part of yourself hidden from the people in your life. As a result, of course, this results in a more general problem -- the consistent undercounting of how many people actually are atheists, and the result that those of us who are feel even more isolated and alone than we did. So if you’re an atheist and don’t live in one of America’s atheist-friendly enclaves, it might not be something you want to talk about — in fact you may have trained yourself to avoid those sorts of conversations altogether. Now imagine a stranger calls you up out of the blue, says they’re from a polling organization, and asks about your religious beliefs. Would you tell them you don’t have any? There’s a lot of research suggesting you might not. The so-called social-desirability bias, for example, is an idea that suggests that in polling contexts, people might not reveal things — racist beliefs are the one of the more commonly studied examples — that might make them look bad in the eyes of others, even if others refers to only a single random person on the other end of the phone line. As Singal points out, however, a new study by Will Gervais and Maxine B. Najle of the University of Kentucky might have come up with a way around that. Gervais and Najle came up with an interesting protocol for estimating the number of atheists without having to ask the specific question directly. They gave one of two different questionnaires to 2,000 people. Each had a list of statements that could be answered "true" or "false" -- all the respondents had to do was to tell the researcher how many true statements there were, not which specific ones were true, thus (one would presume) removing a lot of the anxiety over admitting outright something that could be perceived negatively. The first questionnaire was the control, and had statements like "I own a dog" and "I am a vegetarian." The second had the same statements, with one additional one: "I believe in God." Since one would presume that in any sufficiently large random sample of people, the same proportion of people would answer "yes" to any given statement, then any increase in the number of (in this case) "false" replies would have to be due to the additional statement about belief. Widely-cited telephone polls (e.g., Gallup, Pew) suggest USA atheist prevalence of only 3-11%. In contrast, our most credible indirect estimate is 26% (albeit with considerable estimate and method uncertainty). Our data and model predict that atheist prevalence exceeds 11% with greater than .99 probability, and exceeds 20% with roughly .8 probability. Prevalence estimates of 11% were even less credible than estimates of 40%, and all intermediate estimates were more credible. So it looks like there are a lot more of us out there than anyone would have thought. I, for one, find that simultaneously comforting and distressing. Isn't it sad that we still live in a world where belonging to a stigmatized group -- being LGBT, being a minority, being atheist -- is still looked upon so negatively that there are that many people who feel like they need to hide? I'm not in any way criticizing the decision to stay in the closet; were I still living in the town where I was raised, I might well have made the same choice, and I realize every day how lucky I am to live in a place where people (for the most part) accept who I am. But perhaps this study will be a first step toward atheists feeling more empowered to speak up. There's something to the "safety in numbers" principle. It'd be nice if people would just be kind and non-judgmental regardless, even to people who are different, but when I look at the news I realize how idealistic that is. Better, I suppose, to convince people of the truth that we're more numerous than you'd think -- and not willing to pretend any more to a belief system we don't share. I don't think disagreeing with the statement "I believe in God" is equivalent to atheism. Buddhists don't believe. Agnostics don't. Animists and new-agers don't.